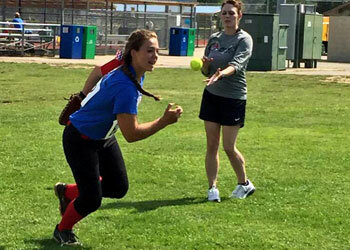 All athletes must have completed at least eighth grade at the time of camp; no junior college athletes will be accepted. Graduation dates must fall within years 2019-2023. This camp will go on rain or shine. There is an indoor facility that will be utilized in the event of inclement weather. Outfielders/Catchers: Noon – 2:15 p.m.
Pitchers: 2:05 p.m. – 4:35 p.m.
Infielders: 4:20 p.m. – 6:40 p.m. Please check-in at least one hour prior to your sessions start time. 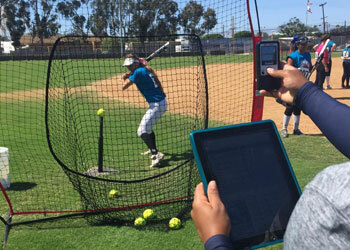 Testing at each 2019 NFCA camp will be administered by AthPro360. Every participant will leave with their testing results in-hand and have digital results emailed to them no later than one week post-clinic. All participants will have their results entered into the AthPro360 system with access for campers and college coaches.